Jeb Bush Says Multiculturalism Wrong For U.S.
Jeb Bush speaks to supporters during a meet and greet with local residents at Gravy's Diner, Sept. 22 in Cedar Falls, Iowa. "When you create pockets of isolation - and in some places the process of assimilation has been retarded because they've slowed down - it's wrong," he added. "It limits people's aspirations." Led by billionaire developer Donald Trump, other GOP presidential hopefuls have aired urged newcomers to assimilate. Some have suggested it's their duty. Compared to most of his Republican rivals, Bush's personal story gives his credibility with Latinos. His wife, Columba, is a Mexican native. Bush sometimes campaigns in Spanish and is fond of relating details that highlight the influence of Hispanic culture at home. Bush even took a shot at Trump on the issue, mocking the front-runner's credibility. Yet Bush has used the term "anchor babies" to describe infants whose parents come to the United States specifically so the children are born in the United States and granted automatic citizenship. The term is considered offensive in the Hispanic community. Bush later said he was referring mostly to the so-called birth tourism industry that flies wealthy Asian women to the U.S. to give birth - a real phenomenon that has drawn concern from the Obama administration. The Donald continues to lead his Republican presidential opponents while U.S. Sen. Marco Rubio has leapfrogged a onetime mentor, former Gov. 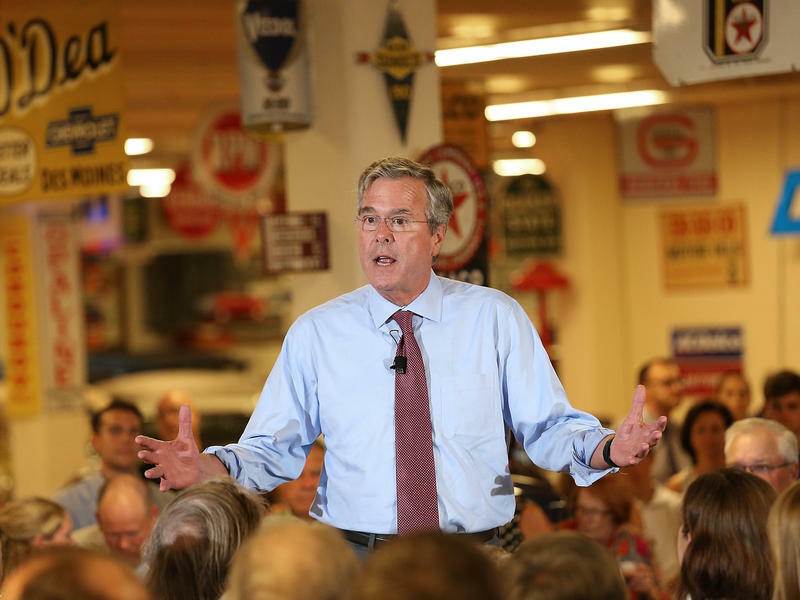 Jeb Bush, in a poll of Florida voters released Wednesday by Florida Atlantic University. In critical swing-state Florida, Hillary Clinton holds a significant edge over her Democratic rivals but struggles in match-ups against most Republican contenders, including Rubio and Florida pediatric neurosurgeon Ben Carson, the survey found. This story was updated on Wednesday, September 9, at 5:30 PM with an estimate of the plan's revenue effects and a table of its tax brackets. Jeb Bush's tax plan tries to do a lot. The plan aims to lower the highest tax rate, offer some relief to low earners, reform corporate taxes, stick it to hedge-fund managers and also, by the way, "unleash 4 percent growth" in the economy, as the former Florida governor puts it. 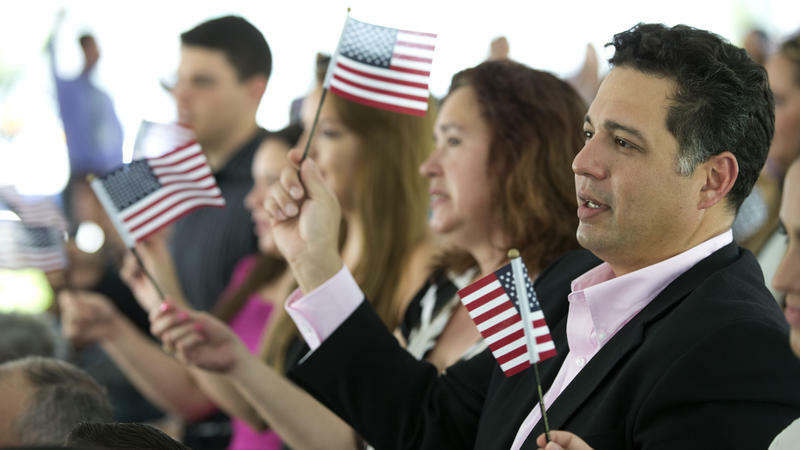 Florida Roundup: Who Makes Up The Hispanic Vote? When Donald Trump kicked Univision anchor Jorge Ramos out of a press conference last week in Iowa, polls showed that Trump was lacking support among "Hispanic voters." What exactly does it mean to be a Hispanic voter, considering the vast differences between the groups that make up the Hispanic voter demographic?